Marsae Mitchell is a dancer, educator, and self-proclaimed ethnochoreologist. She studied with the Alvin Ailey School of Dance in New York, and later received her Bachelor of Fine Arts from Marygrove College. While attending Marygrove, she received the coveted “Outstanding Dancer of the Year Award,” an honor presented annually to a student who shows technical proficiency, leadership, commitment, and academic achievement. Marsae has taught dance throughout Michigan, and is currently Assistant Director at Studio Detroit Dance Center. She studies and teaches several techniques including Ballet, Horton, Dunham, Contemporary, andTap. 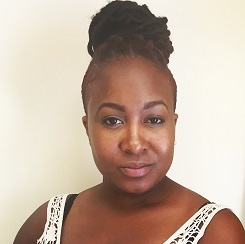 Marsae is the lead choreographer, co-producer and artistic director of “My Hair, My Story, My Glory,” an artistic narrative on the history and culture of hair expressed through poetry, music, and dance. Marsae, along with co-producer Kristina Beaty, believe that it is an artist’s responsibility to empower, enlighten, engage, and entertain.